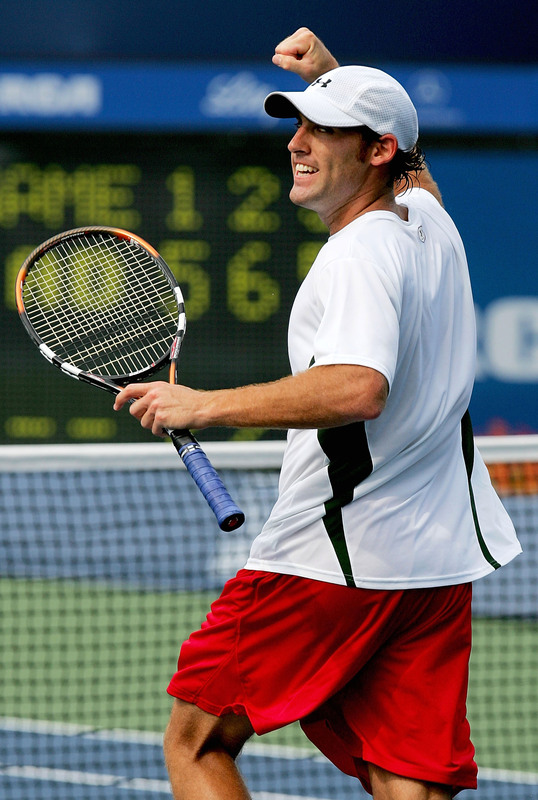 INDIANAPOLIS (Ticker) - American Robby Ginepri has done it again. Ginepri completed his fourth upset of a seeded player in as many rounds, rallying past No. 10 Karol Beck of Slovakia, 5-7, 6-2, 6-3, in Saturday's semifinals of the $600,000 RCA Championships. Having already beaten eighth-seeded American Vincent Spadea in the second round and No. 9 Paradorn Srichaphan of Thailand in the third round, Ginepri stunned top-seed and two-time defending champion Andy Roddick, 4-6, 7-6 (2), 7-5, in Friday's quarterfinals. Ginepri will get another chance at an upset in Sunday's final against fellow American Taylor Dent. It will be the first all-American final here since Pete Sampras defeated Jim Courier in 1992. The fourth-seeded Dent bested No. 7 Greg Rusedski of Britain, 6-4, 6-4, in a hard-serving battle. Dent, who has not dropped a set here all week, had lost his first two encounters against Rusedski. "Yeah, it's nice to get on the board against Greg," Dent said. "He's a tough opponent for me. (He) serves very well, and I have a tough time breaking him. But today I was making a lot of returns and fighting hard and hanging on to my serve well." Since losing to Swede Joachim Johansson in the second round in Wimbledon, the left-handed Rusedski had won his previous eight matches, including capturing the title at Newport.